This program, a utility industry first, aims to revolutionize high-consequence training, by leveraging the latest virtual reality (VR) and simulation technologies. I worked with the team at Vectorform to scale the program visibility and educate the public sector (media, influencers, and technology analysts). This included working with the media team at DTE Energy to launch a press education and training day, focused on giving the press a demo of the training, and providing material that demonstrated the value proposition and how DTE employees plan to use the high-consequence field training. 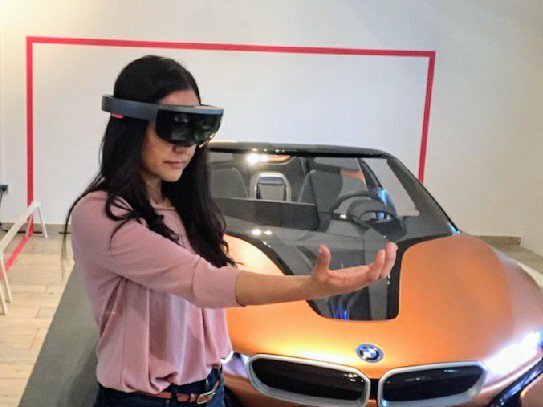 Mona (Wehbe) Ketterl is pictured here at the Munich Creative Business Week, as she demonstrates potential AR experience training applications to prospective clients.